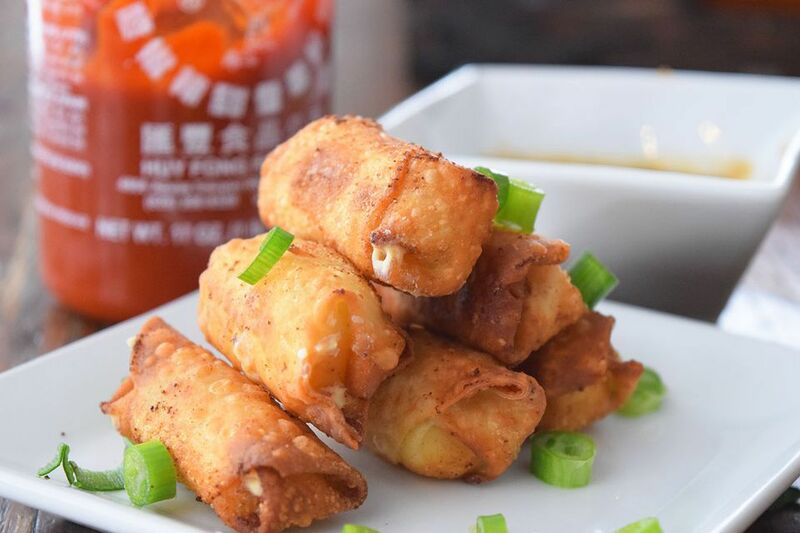 Need advice on how to keep egg rolls from coming out too dry or too soggy? Follow these simple tips for Turning Out the Perfect Egg Roll. Mix seasoning ingredients together. Cut the pork into thin strips, add the seasonings and marinate the pork for between 10 and 15 minutes. While the pork is marinating, prepare the vegetables, and the gravy mixture. Heat the wok over medium-high to high heat. Add the oil for stir-frying. When the oil is iready, add the celery and onion and stir-fry. Taste and add salt and sugar if desired. Remove from the wok. Add the pork to the wok and cook until well done (place cover on wok). Remove. Clean the wok and stir-fry separately the mushrooms, water chestnuts, and bean sprouts. Check the seasoning while stir-frying the bean sprouts and add salt and/or sugar as desired. Stir-fry the suey choy, covering and cooking for approximately 1 minute, again adding salt and/or sugar if desired. Combine all the ingredients in the wok. If necessary, drain some of the juice from the vegetables out. Add the gravy, pushing the vegetables up against the sides of the wok to form a well in the middle for the gravy, and stir to thicken. Mix thoroughly. Add green onion. Set the filling aside to allow to cool before wrapping. Mix the cornstarch and water, slowly adding the water to the cornstarch until you have a "glue" which will be used to seal the wrappers. To wrap, lay the egg roll wrapper out with the short (4 1/2") side directly in front of you. This will be the dry side. The two long sides will be called sides 1 and 3, and the other short side directly across from you will be called side 2. Place approximately 1 tablespoon of filling in the middle of the wrapper, spreading it out but not getting too close to the edges. Using your fingertip, spread a bit of the cornstarch/water glue along edges 1, 2, and 3. Fold over the dry side, then take side 2 and fold it over, making sure the two sides overlap. Press down firmly on sides 1 and 3, making sure they are well sealed. Deep-frying: When oil is ready, slide each egg roll carefully into the wok one at a time. Deep-fry until they are golden brown, then drain on deep-fry rack or paper towels. Keep on a tray lined with fresh paper towels until needed. The egg rolls should not be stacked. If possible do not reheat in the oven, as this can dry the eggrolls out, but if necessary, reheat them on low heat for 10 minutes on each side. If desired, instead of cornstarch and water you can substitute beaten egg or egg white. Most recipes use the "envelope" method for wrapping. I prefer this method: not only is it easier to learn, but you can put more filling in each egg roll, and the rolls tend to be crispier.